The presence and effects of detrimental factors on the environment can pass by the publicÕs eye without notice. The location of the Detroit-Superior (VeteranÕs) Bridge and its nearby connections forms the optimal stage to showcase what the human race can do to cause harm to the environment and how humans resolved the problem. 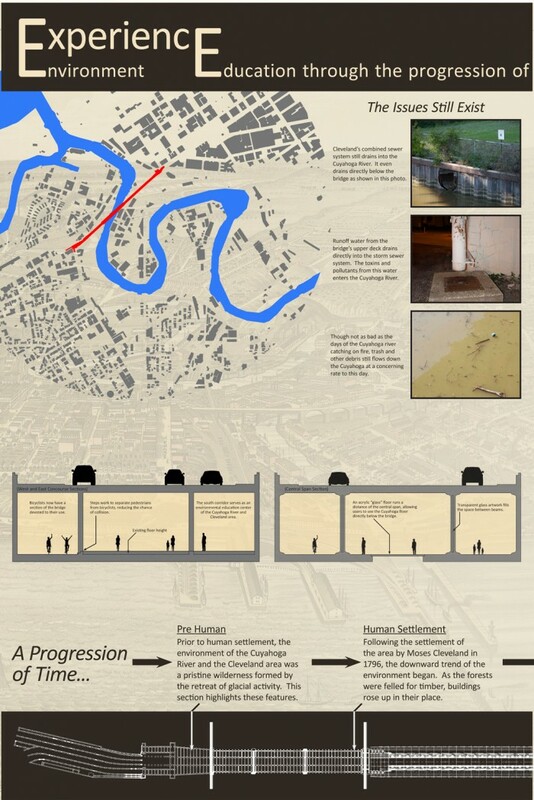 Through the incorporation of features that highlight the dark past of the Cuyahoga River and its effects on Lake Erie, this design will not only work to educate people about the past harm induced on the waterways of the Cleveland area, but also work to show how people resolved the issue. 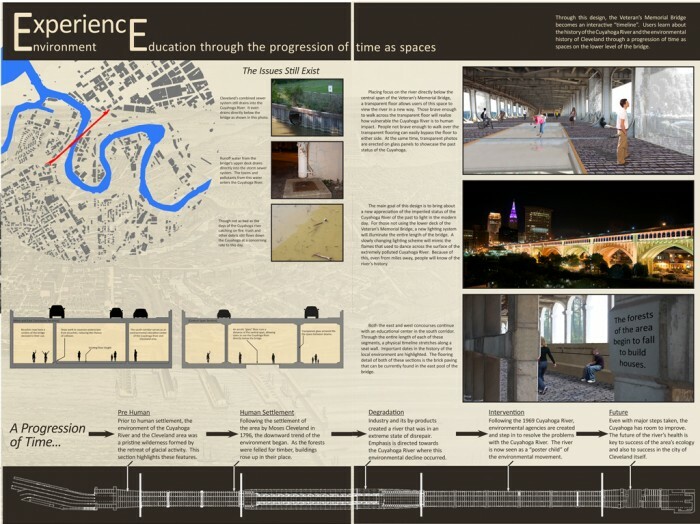 By literally providing a platform for the public to view the benefit of maintaining and creating a healthy river and lake, this design will resolve around the form of a ÒpassageÓ through environmental history. 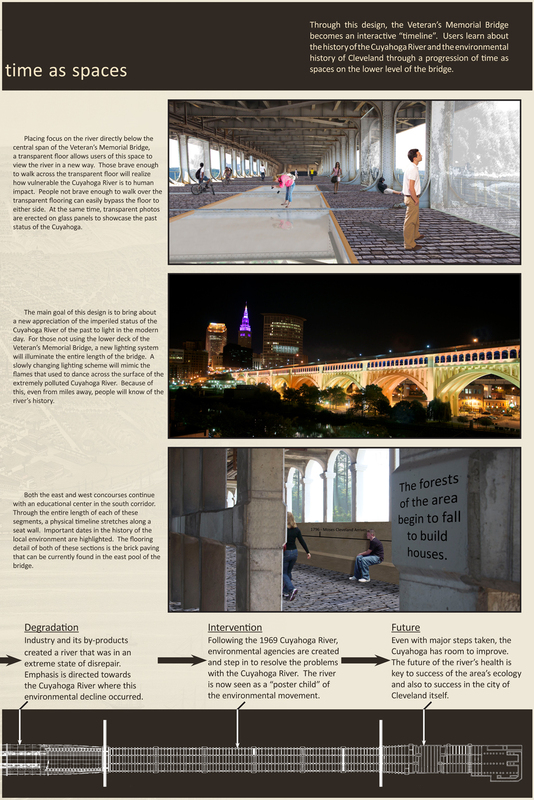 As individuals make their way across the bridge, they will pass through five stages of the CuyahogaÕs environmental history: glacial retreat, arrival of Moses Cleveland, Industrial Era, the ÒGreenÓ movement, and future of environmental preservation.